Anyone planning to serve alcohol at their wedding will probably agree that an open bar is ideal—but it can get pricey. Not everyone can dedicate a significant chunk of their reception budget to a night of unlimited, free-flowing spirits. 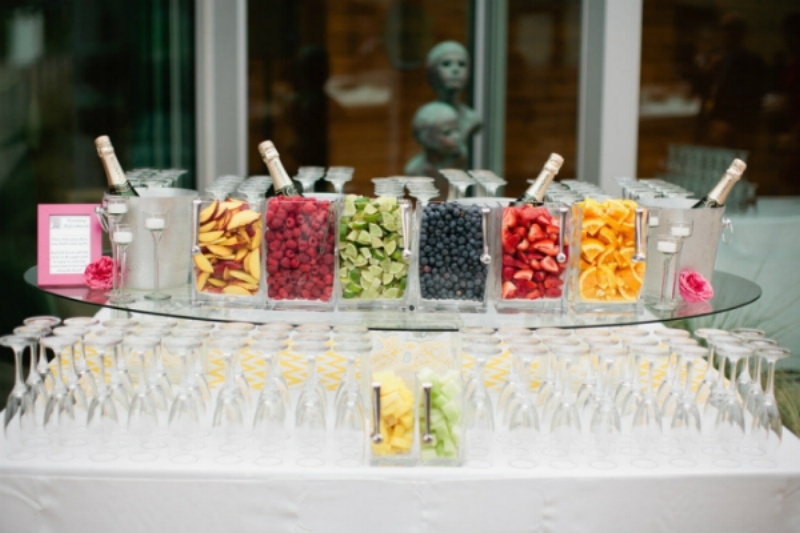 That’s why we’ve come up with a few alternatives to the full, open bar that aren’t a cash bar (because you should never ask your guests to enjoy your party out of pocket). 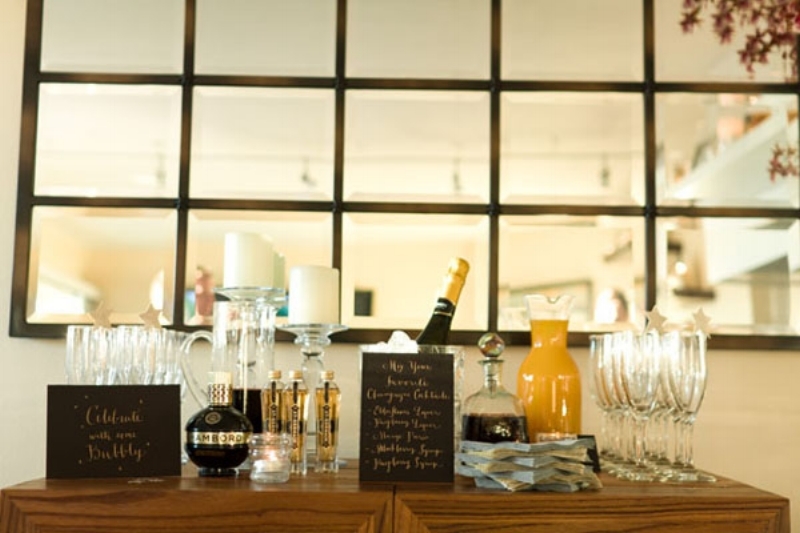 Here’s how to cut back on wedding reception alcohol without depriving your guests. Keep it simple with the essentials: wine, beer and a signature drink. With the option of beer, vino and a hard-alcoholic sip, you should be able to satisfy pretty much everyone’s cocktail cravings. Bring out the bubbly or wine for toasts if you want, but feel free to serve just mimosas and Bloody Marys for the drinkers alongside water, juice, coffee and tea. And if your uncle complains there’s no bourbon at your 12:30 p.m. brunch in the garden, that sounds more like his problem than yours. Or two. Offering two or three drink options—albeit fun, delicious ones—keeps your liquor tab to a minimum and makes it super easy on your bartenders. And sometimes fewer options is better than more, right? If a champagne toast is a non-negotiable for you (we feel you), pour a round of Veuve Clicquot or Dom Perignon for toasts. Later, if you still want to serve bubbly, switch to champagne’s lower-priced but still perfectly chic and tasty cousin prosecco. If you still want to offer a wide variety of spirits, splurge only on your favorites. You love gin and your partner loves tequila? Serve a top-shelf gin and tequila and offer more budget-friendly labels for the rest.